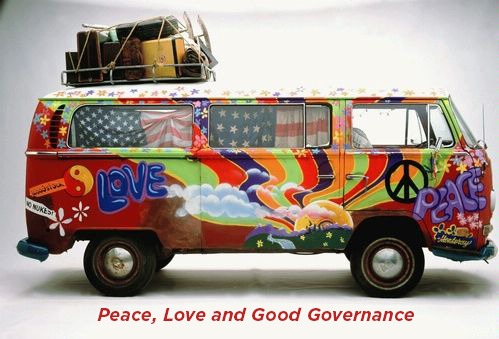 OK, so it doesn’t have quite the same ring as 1967’s “Summer of Love,” but the corporate governance enhancements made by many Alliance societies over the past few months have been as progressive as any developments in the fraternal sector in the past 50 years. I’ve participated in three conventions in the last six weeks– the National Slovak Society (NSS), the National Catholic Society of Foresters (NCSF), and the Slovene National Benefit Society (SNPJ) – where governance overhauls were enacted with nearly unanimous support from the convention delegates. These improvements established higher qualifications for board members elected by the societies’ convention delegates or the full membership, reduced some of the “political campaigning” that characterized many board member elections, and most importantly, called for the CEO of the society to be hired by the board rather than elected by the membership. Each of the conventions I attended featured healthy debate on the merits of making such significant changes to the societies’ bylaws – rules that in some cases had been in effect for more than a century – but at the end of the day delegates were convinced that a more modern governance structure gave their society the best chance for future success. Congratulations to the presidents of each of these societies – Dave Blazek at NSS, Peggy Schmitt at NCSF, and Joe Evanish at SNPJ – for their courage to tackle this critically important and potentially devisive issue head on. Without that leadership, this type of meaningful progress just can’t get done. I’ll be honest, it was exceptionally gratifying to watch these debates play out and see the delegates embrace the need for modernization. The Alliance has invested heavily in helping its member society leaders communicate the value of improved governance to an often skeptical membership through training programs like the Board Institute, surveys on governance “best practices,” and personal presentations to member society boards meetings, regional meetings, and conventions across the country. Now the fruits of that labor are being harvested – and member societies are reaping the rewards by creating a brighter future for both their current and future members. The Alliance has also worked closely with state regulators on helping fraternals enhance their corporate governance, especially in states – like Pennsylvania and Ohio – where a large number of societies are domiciled. Pennsylvania’s Deputy Insurance Director Steve Johnson gave a compelling presentation to the NSS convention that helped convince delegates to support a governance modernization proposal. And Illinois’s Deputy Insurance Director Cynthia Bordelon delivered similar remarks at the NCSF convention. I found Cynthia’s overview insightful – particularly the direct connection between the quality of management and the financial condition of an organization, as well as the “red flags” of weak corporate governance that trigger regulators’ concerns. The key points of Cynthia’s presentation follow. I hope you get as much out of them as I did, and that you pass them on to your management team and board members. I also invite you to post your comments on this issue here, or send them to me in an email at jannotti@fraternalalliance.org. At the Illinois Department of Insurance, in addition to financial condition, we review an insurance company’s corporate governance. We are required pursuant to NAIC guidelines to review corporate governance at insurance companies. What this means very simply is that we expect to see well-run insurance companies. What keeps you up at night concerning the company? What level of stress would cause the company to fail? What risks could drive this stress? If your management cannot answer these questions robustly, then the company most likely needs to improve. Management needs to verify that it understands key financial and non-financial risks. Do not expect the Department will not get in the middle of any issues your board and/or senior management have with one another. It is not our job to mediate disputes between board members and senior managers at insurance companies we regulate. However, what we will do is fully document less than satisfactory corporate governance at insurance companies we regulate and if we see weak corporate governance year after year we will take steps to protect your policyholders at all costs. A big “Thank You!” to Joe and Cynthia for their assistance at the NCSF Convention. It really helped to move hearts and change minds for the betterment of the Society.